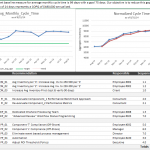 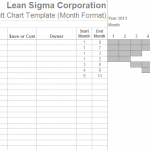 Free Six Sigma Tools and Templates - Instant Downloads! 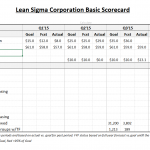 Lean Sigma Corporation provides excellent free six sigma tools and templates for you to use during your online training and in your daily work. 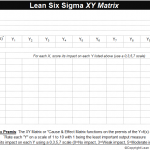 Click on any of the images to view a sample of the tool or template and click on the download button to instantly access any of these free six sigma tools. 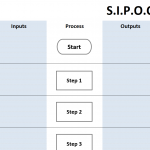 In order to unlock the download buttons you must first enter your name and email address. 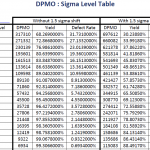 Doing so will unlock every six sigma tool on this page. 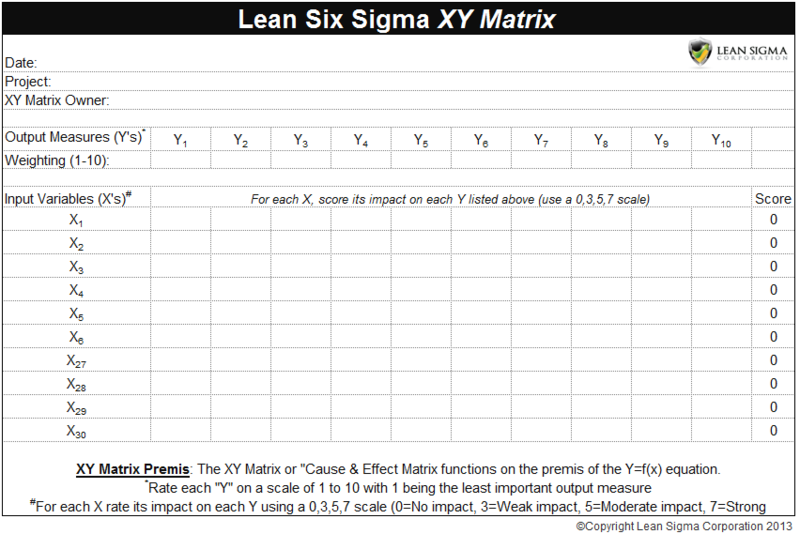 Entering Your Name and Email in the Form Below Will Unlock All of the Free Six Sigma Tools on This Page. 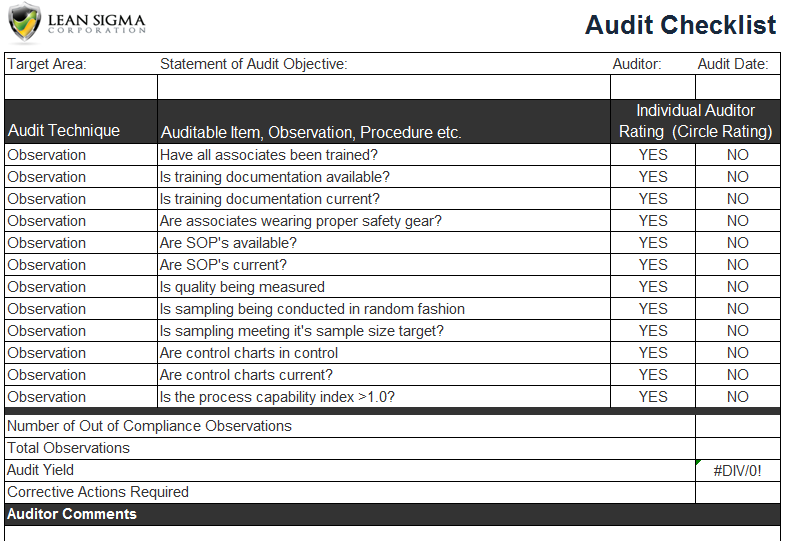 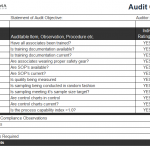 An Audit Checklist serves as a guide for identifying items to be examined and is used in the understanding and following of procedures necessary for improvement. 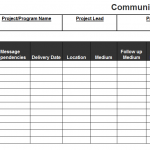 A Communication Plan establishes procedures, schedules and acceptable modes of communication among management, team members, and relevant stakeholders. 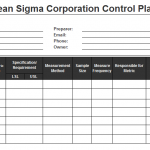 A Control Plan is a management planning tool to identify, describe, and monitor the process performance metrics in order to meet the customer specifications steadily. 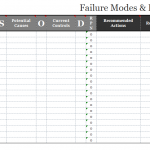 The FMEA is used to identify, evaluate, and prioritize a potential deficiency in a process so that action plans can be designed to reduce the probability of the failure/deficiency occurring. 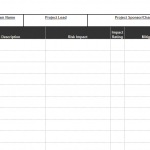 A Gantt Chart gives project teams the ability to display the status of each task/activity at a glance, and easily demonstrate the schedule of tasks and timelines to all stakeholders. 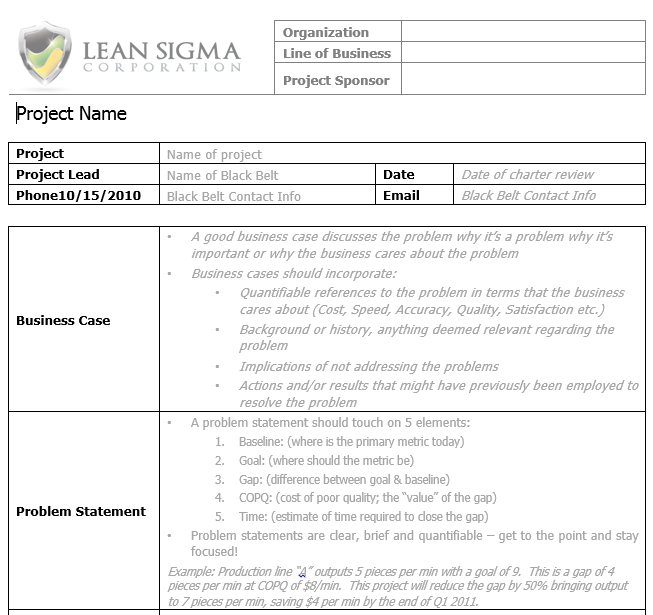 The Project Charter acts as an agreement between the project team and stakeholders, defining the business case, problem statement, objective, scope, timeline, and team. 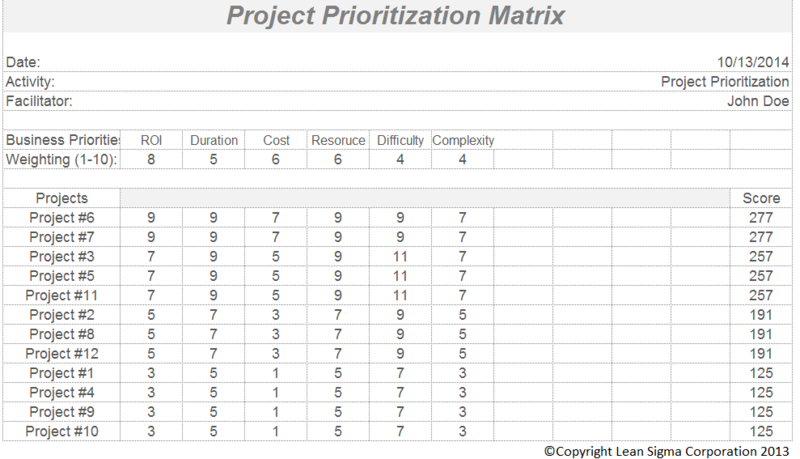 The Project Prioritization Matrix helps project teams identify the proper order of importance for projects by numerically weighting the relative importance to business objectives. 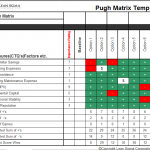 A Pugh Matrix helps project teams identify the items or solutions that are most important, as compared to others. 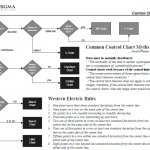 This matrix is used once the voice of the customer has been captured. 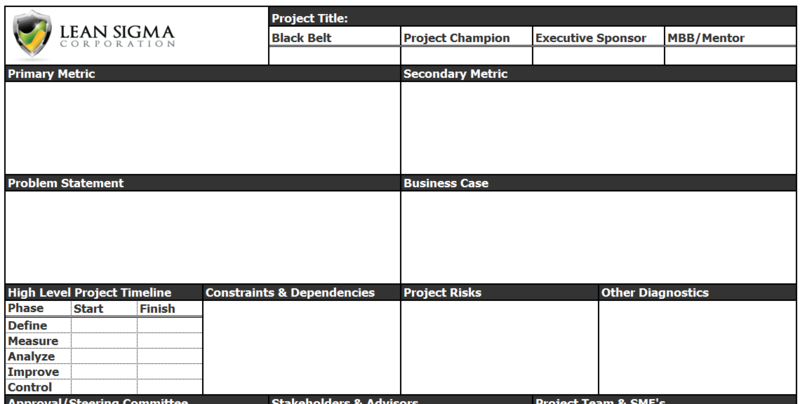 A Risk Management Plan is used to identify sources of project risks and estimate the effects of those risks. 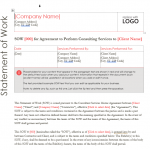 This plan assesses the impact of such risk to the customers and stakeholders. 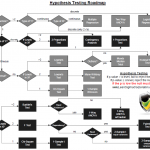 Training plans are a critical component to ensure that necessary training related to new processes and procedures is deployed to employees that perform the process. 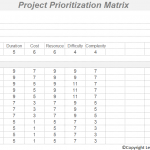 The XY Matrix is a tool to help subjectively quantify the relationship of several X's to several Y's, forcing project teams to make informed project decisions based on fact. 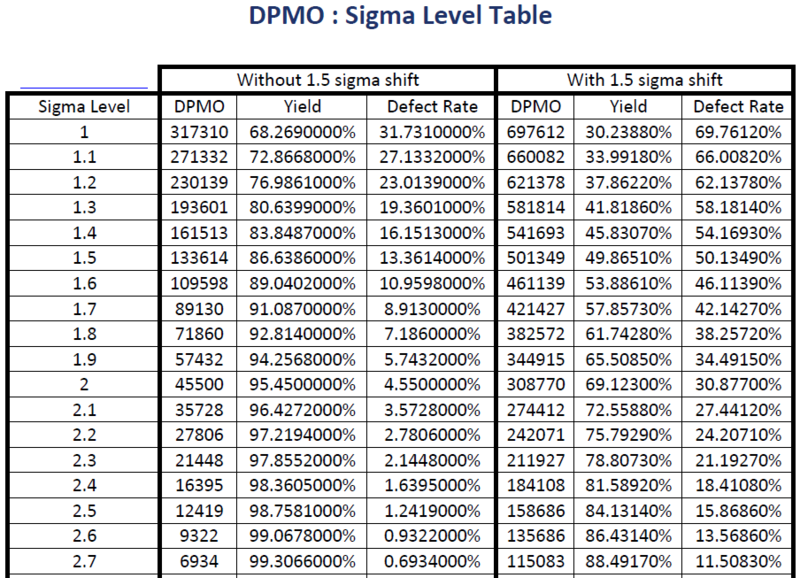 The Sigma Level Table shows defects/million opportunities for various sigma levels, process yield per sigma level, and compares sigma levels with or without a 1.5 sigma shift. 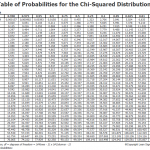 The Chi-Squared Probability Distribution is a continuous probability distribution of the sum of squares of multiple independent standard normal random variables. 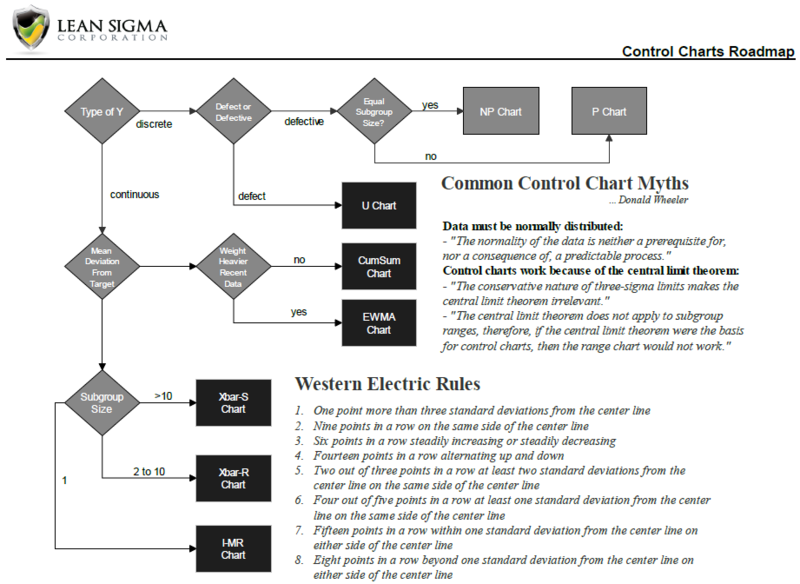 The Control Chart Roadmap guides six sigma practitioners step-by-step to the proper control chart to use through a list of questions, and includes the seven Western Electric Rules. 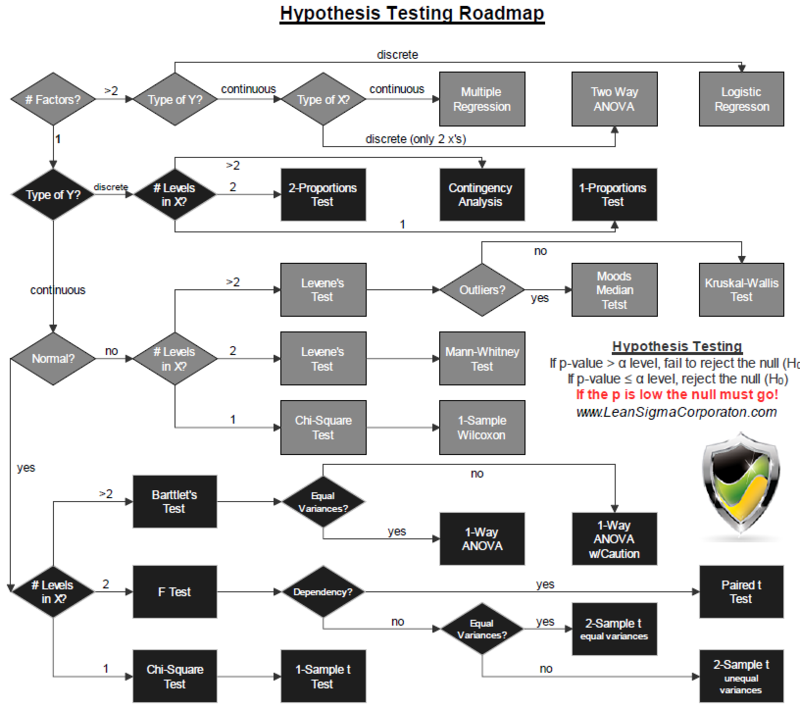 The Hypothesis Testing Roadmap guides six sigma practitioners step-by-step in how to select one of fifteen hypothesis tests through a map of questions leading to the correct test. 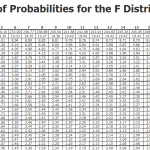 The F probability distribution table. 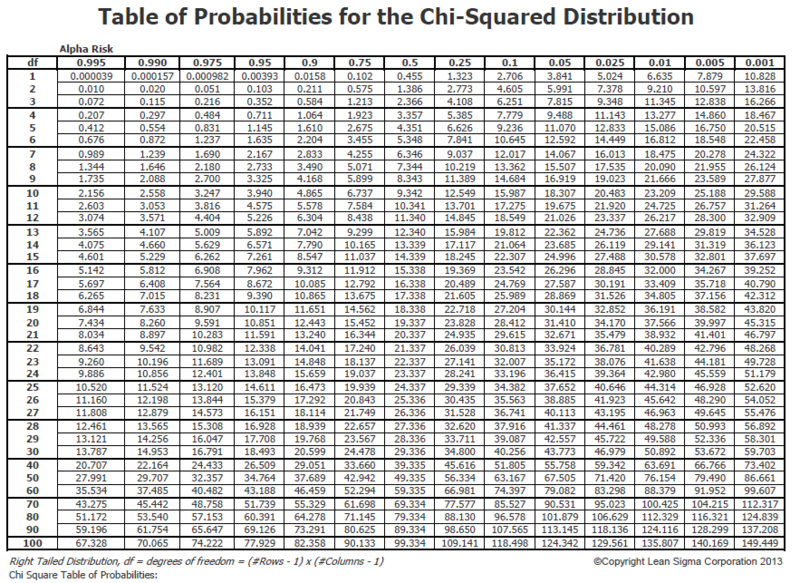 A table of probabilities for the F-distribution featuring right tailed distribution and degrees of freedom up to 120. 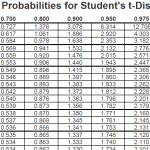 The Table of the Student's t distribution, a probability distribution table featuring two tailed distribution and degrees of freedom up to 120. 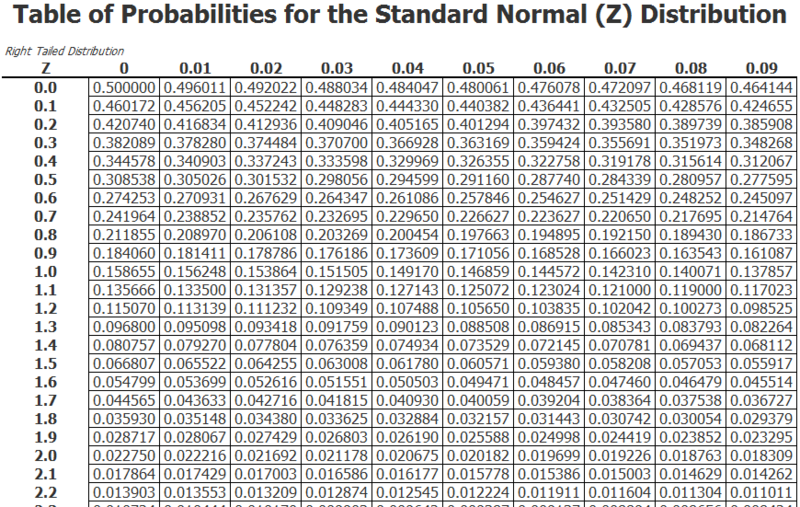 The Table of the Z-Distribution. 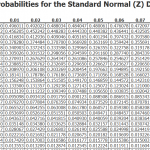 Providing the standard normal z probability distribution featuring a right tailed distribution. 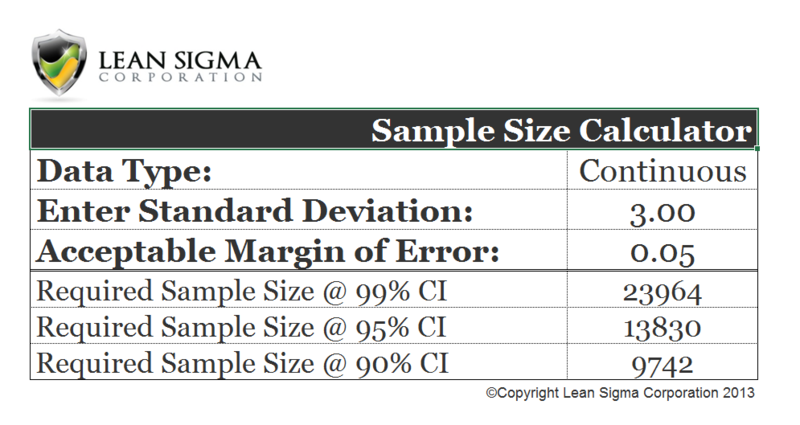 A sample size calculator for discrete and continuous data.Choose your data type and other variables to get samples sizes for 90%, 95% and 99% CI. 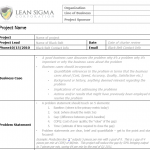 The Project Charter acts as an agreement between the project team and stakeholders, defining the business case, problem statement, objective, scope, etc. 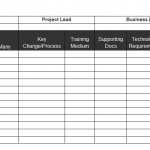 Management by Fact (MBF) for managing a project and it's countermeasures or a porfolio of projects. 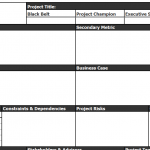 This template is customizable and perfect for Black Belts or Project Managers. 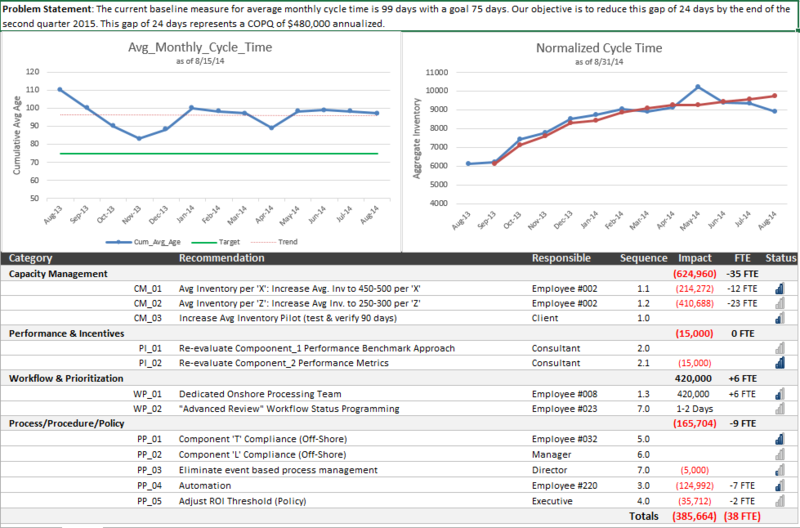 A scorecard to help with managing performance metrics and visualizing status of key performance indicators for your business unit or project. 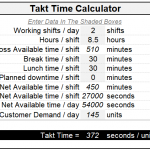 Color indicators based on status. 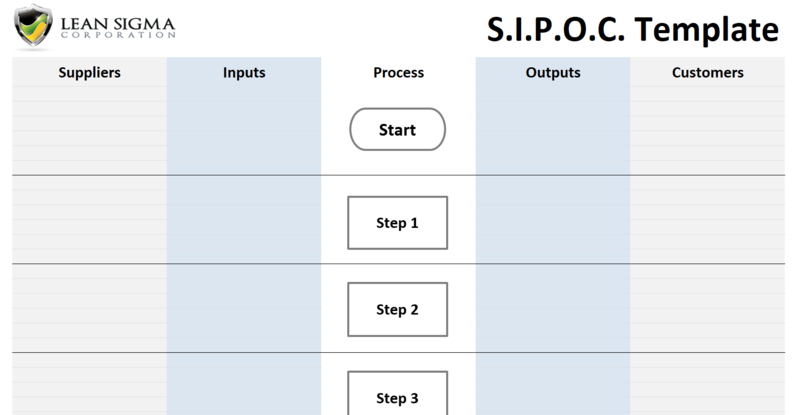 A SIPOC template to help with mapping Suppliers, Inputs, Process, Outputs and Customers. 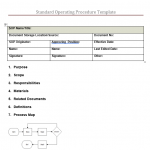 Helps you to gain a better understanding and broader view of the value stream of your process. 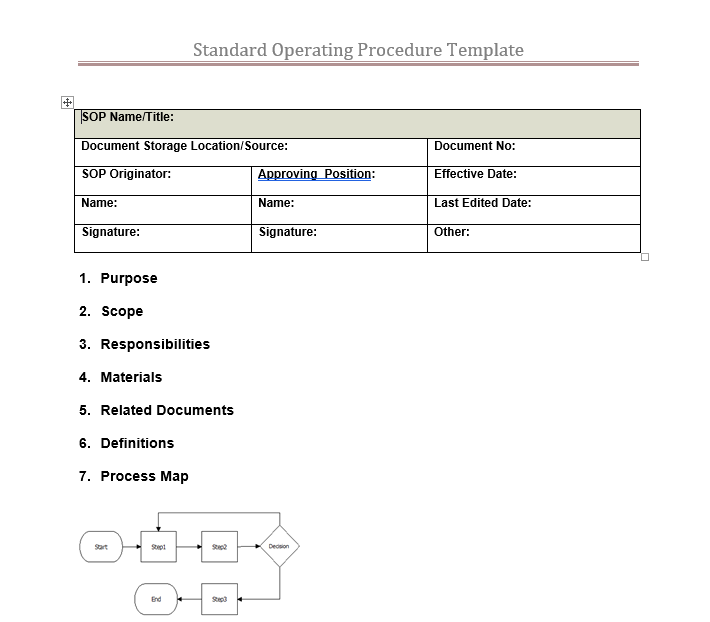 An SOP (Standard Operating Procedures) template to help you document and standardize your processes and solidify the improvements made by your projects. 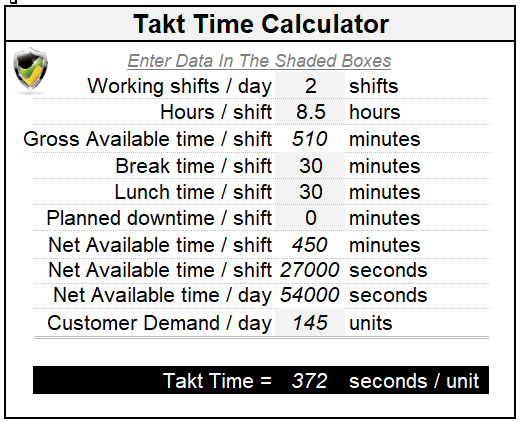 A takt time calculator providing the ability to enter your data into specific fields to calculate necessary takt time to meet customer demand given your inputs. 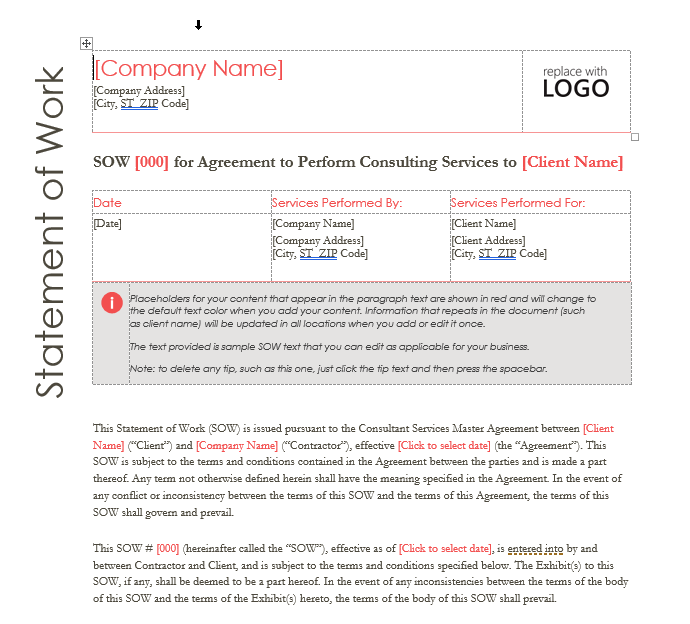 A Statement of Work (SOW) template to give you a head start on documenting work requirements, expected deliverables and specific business goals for a project or contract. 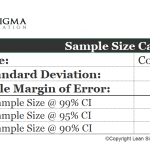 A D.M.A.I.C. 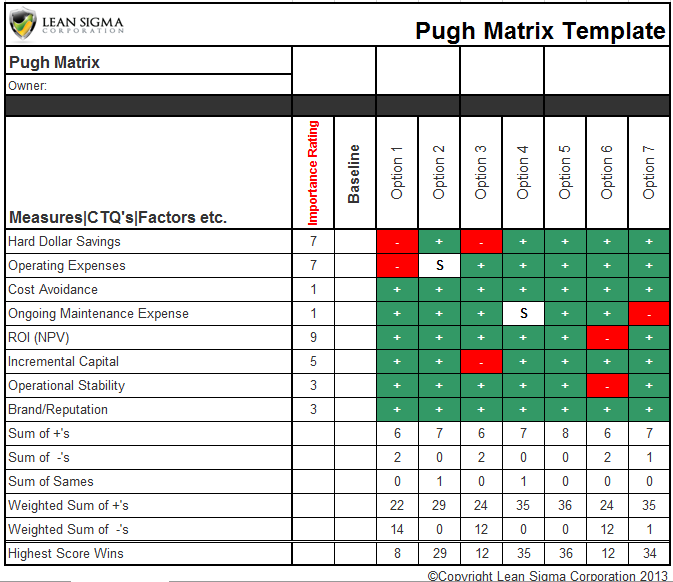 Roadmap showing the purpose of each DMAIC phase with key tools likely to be used in that phase as well as key outputs for each phase. 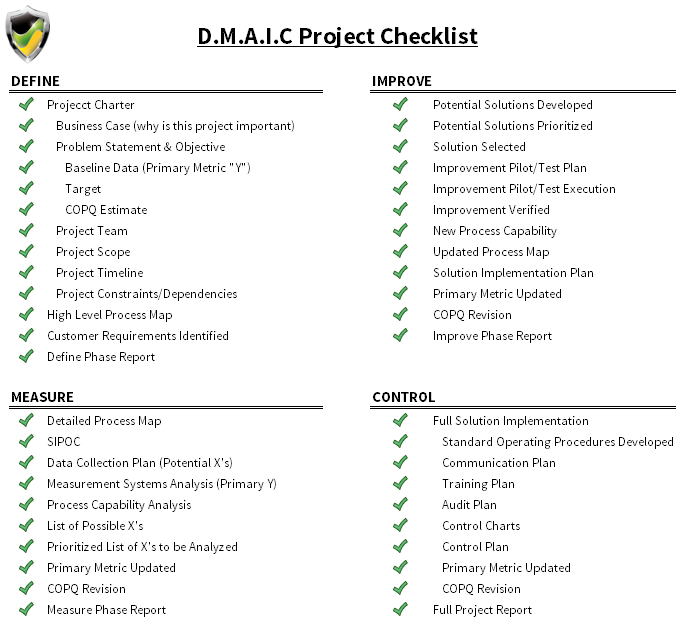 Compliments our DMAIC Project Checklist. 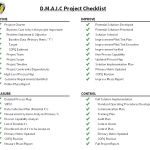 D.M.A.I.C. 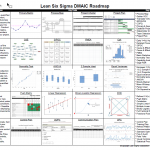 project checklist for Six Sigma Belts seeking the help of a simple yet effective list of project objectives for each phase of the DMAIC lifecycle. 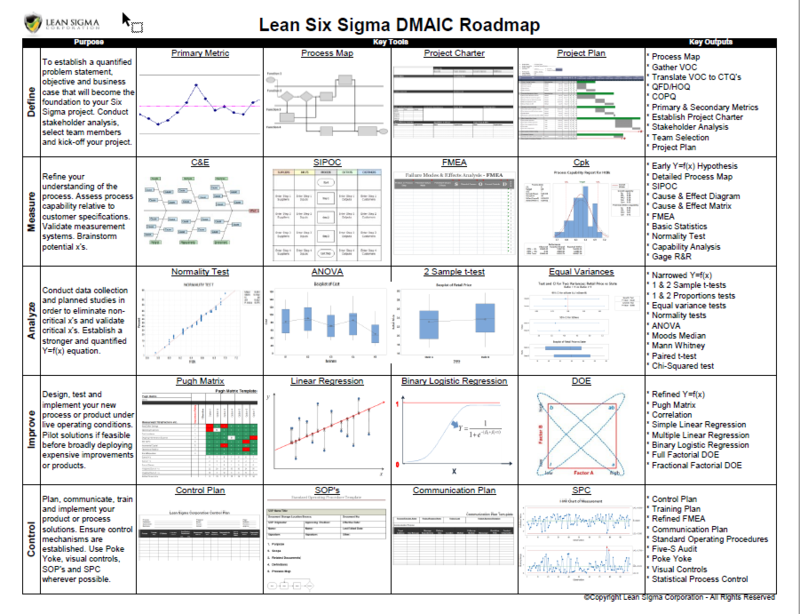 Compliments our DMAIC Roadmap.